Bowsers luxurious MicroPlush Teddy fabric is a cross between plush faux fur and velvet. The durable, short pile and tightly woven construction can withstand excessive wear and will not shed or pill. 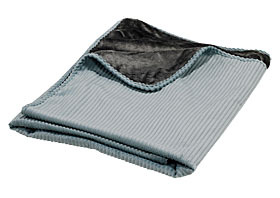 This blankets reversible design incorporates their popular Micro-Velvets and the new Micro-Corduroys. For home & travel. Cleaning: Machine wash & dry on a cool.